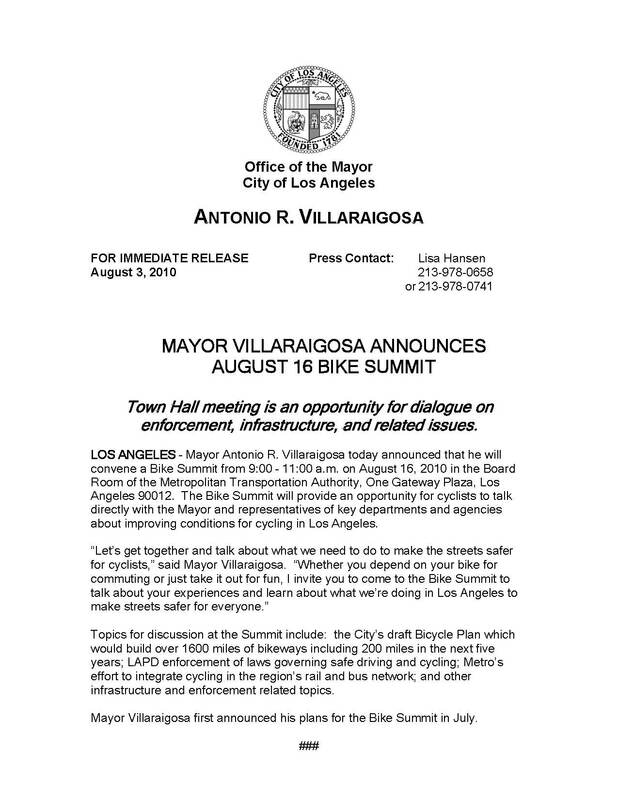 L.A. City Mayor and Metro Board Member Antonio Villaraigosa plans to hold a Bike Summit on Aug. 16 at Metro to talk about how to make L.A. a safer, more bike-friendly city. That comes as good news to local cyclists, who usually have much to say about improving conditions for bikes in car-crazy L.A. The meeting will be from 9 a.m. to 11 a.m. inside the agency’s Board Room. Read the Mayor’s official news release below.